My dog is very smart, and knows a lot of commands such as sit, lay down, stay, leave it, drop it, and tricks like paw and play dead. 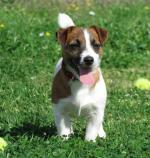 He has also been to obedience classes. He gets tons of exercise: 2-3 walks a day, an hour minimum in total, we play fetch and chase him in the back yard, we take him to play with other dogs, still it seems he has endless energy. He sleeps in his crate overnight and is only left in there during the day a couple days a week and for no more than 3-4 hours. However, when people are over he gets so excited and he starts nipping them (not in an aggressive way). I make sure I tell the guests to ignore him when he nips. I have tried the leash jerk, but as soon as I do it, he goes crazy on the leash and gets even more energetic and nips more. How can I get him to stop the nipping if jerking the leash does not work? Thanks for your comments about your dog. It can be frustrating when you are trying your hardest to fix a problem, but nothing you do seems to work. Playing with other dogs - especially in a dog park setting where they are all off leash and running together. I have never seen any good behaviors born at the dog park. What happens is that the dog learns that in play, behaviors such as nipping and jumping are acceptable. The problem comes when the dog is back at home and wants to play with new people in the house. He thinks that to engage them in play, he should do what he does with his dog friends - nip them. Another possible problem could be chasing him in the backyard. This is what dogs do with each other in play as well. So this is encouraging him to play with you as if you are just another dog. 1) socialize him more - take him with you to the hardware store, Lowe's or the bank, and make him always sit for petting. 2) keep the dog on a leash in the house (or a rope attached to the collar is he chews the leash) and the door locked. That way, if someone comes over, you have a minute to "get set up" before they come in. Make sure his collar is up high under his chin and behind his ears (this is called the tender zone, where there is no muscle). Make him sit when guests come in, and stay there for petting and greeting (rerouting the energy into something positive). If he tries to nip, loosen the leash, pop straight up, and loosen the leash again. Praise him for greeting properly and not nipping. Make sure when you correct for nipping, that you say nothing! You want him to think the correction is coming from the act of nipping, not from you. If your corrections don't seem to be fazing him, you should be firmer. You won't break your dog's neck, and you won't hurt him. He needs to see you as the leader, the one in charge. It's not simply a "jerk on the leash" - executed properly, I have never trained a dog where this technique did not solve the problem. 3) If there is no leash and collar on, you can say "Eh!" in a loud, sharp voice to startle him. 4) You can give a pop under his chin with your hand. Make sure that you don't smack him on the nose - he will become hand shy and possibly start fear biting. To sum it up, you are on the right track with the leash and collar correction. This is the most effective way to stop nipping. It sounds like your corrections are not firm enough, or perhaps you have the wrong collar on your dog. 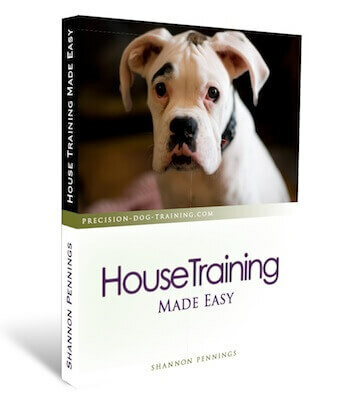 Read about the different dog training collars that I recommend. I hope this has helped you, and again, thanks for participating! Good luck!